Designed to stand on its own, or to accompany the seventh edition of D. R. SarDesai's Southeast Asia: Past and Present, this updated reader includes classic and recent works on the history of Southeast Asia. SarDesai has selected literary and historical writings that address crucial controversies in the region of Southeast Asia. The readings are organized in four sections (Cultural Heritage, Colonial Interlude, Nationalist Response, and the Fruits of Freedom) and cover the entire range of Southeast Asian history from ancient to contemporary times. Geographically, the book includes Myanmar, Thailand, Malaysia, Brunei, Singapore, Indonesia, East Timor, Laos, Cambodia, Vietnam, and the Philippines.The revised second edition retains the most popular readings from the first edition, while replacing some of the historical chapters, updating the contemporary and recent coverage, and adding new readings to pertinent subject areas. 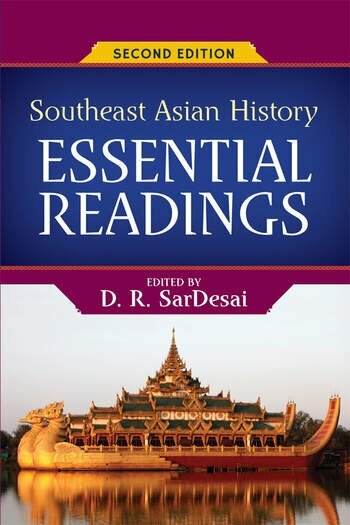 Southeast Asian History: Essential Readings provides valuable context and critical background to events of this region.